For the Conversion Kit version of Ispher, see Ispher (Conversion Kit). You cannot be Poisoned. At the start of your turn, recover 2 .
: Choose yourself or an adjacent hero. That hero recovers 8 and discards all conditions. We are feared, we are despised, yet still I am called to help? Screams of terror are nothing unique for Ispher: they follow him to each new town and village. He has been mistaken for a bandit, a monster, and most memorably, the incarnation of a spirit that ate disobedient children. Often attacked or turned away, only the wise find a brilliant healer with a caustic sense of humor. No stranger to irony, Ispher has commonly saved those who mocked him just an hour earlier. Now, Ispher has but one goal: to use his arts to destroy the true, unbridled cruelty of the overlord. 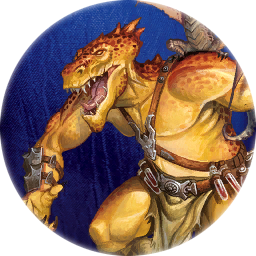 Ispher first appeared in the base game for Descent: Journeys in the Dark (first edition). Ispher is one of many dragon hybrid species created by the Dragonlords to serve as shock troops during the Dragon Wars, similar to Belthir. His quote is a reference to this. This page was last modified on 9 August 2017, at 20:48.